The FLIR T660 is the most extensive and advanced thermal imaging cameras available with several convenient features such as a tillable lens, wi-fi connectivity and much more. 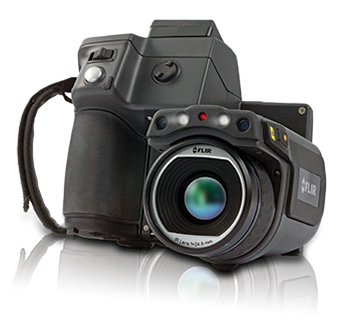 FLIR T660 infrared camera for industrial/commercial applications. Features a 640 x 480 30Hz infrared detector with a 0.02°C thermal sensitivity, UltraMax, WiFi, -40 to 2000°C temperature rang and ±1°C accuracy.